1. 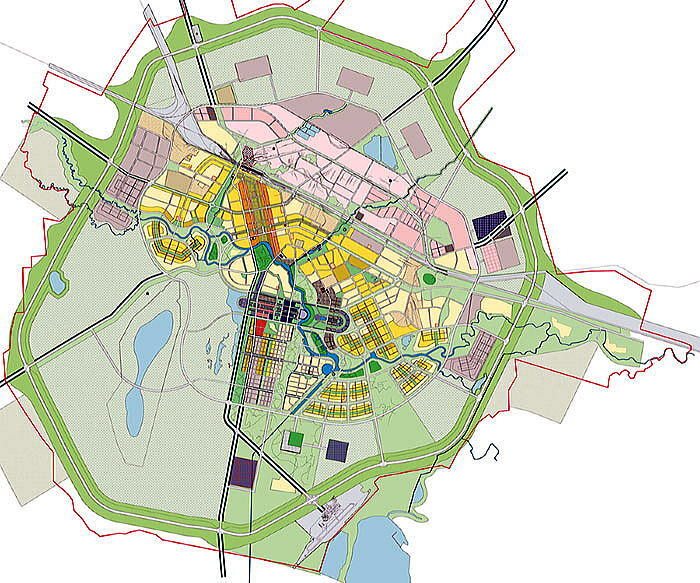 How does Astana compare to other 20th Century capital relocation projects? Astana, at least in terms of it being an object of academic inquiry, certainly has everything to do with its 1997 designation as Kazakhstan’s capital. Comparing it to other capital relocation projects of the modern era, we can contrast various motivations and tactics for such momentous national undertakings—most notably Brasilia, constructed in the 1950s, and Abuja, the capital of Nigeria, consecrated in 1991. While there are undoubtedly aspects that link these projects to one another, their varied cultural, geographic, and historic contexts serve to distinguish them, particularly in terms of the patterns and management of their growth. While these projects were each undertaken in post-colonial contexts, it should go without saying that the vast majority of fledgling post-colonial states did not relocate their national capitals in the 20th century. Thus, these cities reflect a self-selected category of examples in which a capital relocation project was considered a critical element to the concurrent nation-building project. Schatz (2004), on the other hand, has found that, “Kazakhstan approximates the model of capital relocation that comes from post-colonial African contexts,” (112) for example, in the case of Abuja, Nigeria. Both nation-building projects were, “built through the self-conscious efforts of elites to minimize or balance the alternative allegiances of a culturally plural population” (121). And more than was the case with Brasilia, the construction of Abuja and Astana were conceived as a means of solidifying control over particular tensions that posed a challenge to state power and progress. Thus, in Astana, as in Abuja, significant effort has been given over to design techniques that “stimulate such feelings of national pride and identity. It has been a focal point of ubiquitous nationalist propaganda, also designed to combat the challenges of nation-building given Kazakhstan’s significant demographic diversity” (Koch 2010: 770). The publically-expressed motivations behind the decision to move the capital of Kazakhstan from Almaty to Astana have been widely documented—ranging from economic reasons of spurring growth and international investment, to political goals of quelling potential ethnic tensions, to the sociocultural intention of promoting a post-colonial, collective national identity. So while the aggregate knowledge gained from the successes and failures of Brasilia and Abuja may have been invaluable, when it comes to the range of issues that are to be used as benchmarks of success, these two examples pale in comparison to the accomplishments of Astana. Beyond the obvious cultural particularities, what makes Astana unique in this discussion (and thus worth analyzing for its own sake) is its historic context, specifically that the project was consciously undertaken within the framework of a globalized world. More than any other capital relocation project, Astana’s motivation, and therefore its success, has hinged on international considerations: in order to guarantee international investment and political legitimacy for the nation of Kazakhstan, Astana has been designed and constructed to please and impress international clientele. To achieve this while at the same time focusing on domestic concerns of identity that are ripe with contradiction is no small feat. Within a discussion of contemporary urbanization of mid-sized cities, why should we study capital-building projects specifically? The answer is that they present an opportunity to critique what Koch (2010) refers to as symbolic landscapes that reflect “prominent elite conceptions of the nation” (770). Not only do they reflect elite conceptions, the ephemeral quality of young capitals that is palpable to the inhabitants themselves tends to heighten conscious notions of identity among the populace. In Astana, “Everything is on the verge of falling apart. No one knows whether the capital will succeed or for how long” (Buchli 2007: 50). Thus, in their infancy, these cities serve to alter or at least shed light on spatial-temporal notions of their citizens. Nation-building efforts also leave capital cities imprinted with loaded conceptions of identity—and nowadays in particular, they are physical artifacts that must fuse the seemingly contradictory objectives of a unified national identity with global receptivity. Thus, they warrant further analysis as microcosms or physical manifestations of these complex, contemporary geopolitical concerns. 9. How are global or extranational issues (including foreign policy, international investment, imported starchitects, etc.) reflected in the built environment of Astana? 8. What does Astana tell us about the prospects for democracy in post-Soviet nations? 7. What does the project of Astana reveal regarding the role of state power in the process of national identity formation or transformation? 6. How do the concepts of ‘growth’ (as a quantitative concept) and ‘development’ (as a qualitative concept) factor into discussions on Astana? 5. What can we learn from Astana/Kazakhstan regarding multiculturalism and national identity, particularly in post-colonial contexts? 4. To what extent does Astana reflect a certain form of regionalism, or is it truly ‘Nowheresville’? 3. What role does history play, particularly as it is inscribed on the built environment, in the project of constructing Kazakhstani national identity? 2. How have notions of ‘emptiness’ or ‘tabula rasa’ shaped Astana’s conception?